The Alps or the Jura? Cross-country skiers, it’s up to you! If the Jura has one of the vastest cross-country ski areas in central Europe, the Alps offer exalting views. Considered one of the oldest winter sports, Nordic skiing is in full bloom. Practised by children and adults alike, it is suited for beginners as well as confirmed skiers. To avoid unnecessary efforts, the Nordic Centres trace out and mark kilometres of runs in the Alps and the Jura. 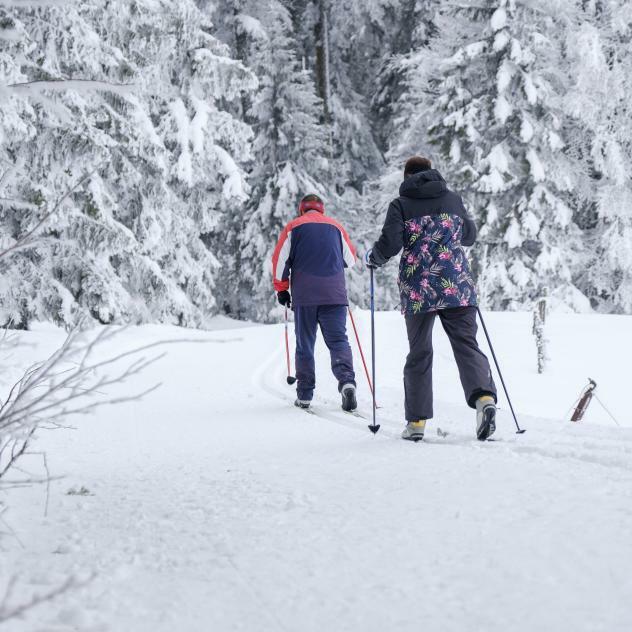 Cross-country skiing enthusiasts can have a field day on the 150km-long Alpine circuit or enjoy classic skiing or skating on the 440 kilometres of the Jurassic area. The run takes off in St-Cergue and crosses the Joux Valley before reaching Ste-Croix-Les Rasses. But at Les Mosses-La Lécherette, skis can sometimes be donned in preseason! The Les Piles trail is an undulating route accessible to all.